Experience the stunning scenery and breathtaking views on a day trip into the mountains of Gran Canaria. Big-game fishing trips from Puerto Mogan on board the sport-fishing boat Maida. Buggy safaris, mountain bike and scooter hire, Nordic walking training and trekking, and tennis coaching. All this and a sports equipment shop! Big game fishing for marlin, tuna, wahoo, dorado, or book a family trip and maybe see some dolphins. Our crew speaks English, Spanish, French, German, Dutch. 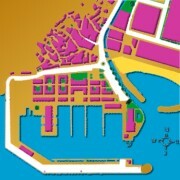 Regular ferry service from the quayside by the Port Office to Puerto Rico, Anfi del Mar and Arguineguín. New mountain and race bikes for hire, helmet, pump, puncture repair kit and lock included. 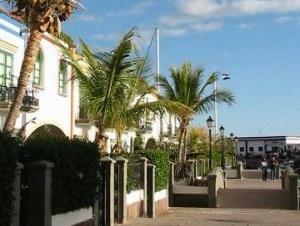 Delivery to and collection from your hotel in Mogan, Playa de Mogan, Taurito, Playa del Cura and Tauro. Learn how to dive and experience the amazing colourful underwater world in Puerto Mogan. Relax and have fun, supervised by our PADI instructors. Sunbathe on our terrace and swim in our pool, or even enjoy a roof-top jacuzzi. Take a ferry trip along the coast to Puerto Rico, Anfi del Mar or Arguineguín. Some journeys from Puerto Rico spend an hour in the "dolphin zone". Book your excursions and activities online. The range of activities includes biking, hiking, buggy and boat trips, diving, horse-riding and much more! Parasailing, jet ski hire and guided excursions, pedalo hire and banana boat rides and a whole range of other activities. Based on the beach by the lifeguard stand. We hire out bikes, surf boards, segways, motorbikes, electric cars and scooters so you can have even more fun on holiday. Parasailing, jet ski hire and guided excursions, pedalo hire and banana boat rides and a whole range of other activities, including beach volleyball are available on the beach. 5-star Padi dive centre catering for all your diving needs. Half-day beginners courses to open water diver, free pick up from your hotel. Boat dives for certified divers. Charters and fishing trips on board Dorado, one of the top big-game sport fishing boats in Gran Canaria. Glass bottomed ferries from Puerto Base along the Mogán coast. Diving courses at all levels and diving excursions throughout Gran Canaria. See the clear blue waters and the coastline from a fantastic vantage point! Blue Water Diving offers snorkelling and scuba diving activities to all levels. We are based in the Holiday Club Puerto Calma, and ranked number 1 for scuba diving in Gran Canaria on Tripadvisor. Dive Academy offers a complete range of Padi diving courses for the whole family. With us you will get the chance to discover the underwater world of Gran Canaria. Enjoy a camel ride across the dunes of Maspalomas and get the feel of the desert. Open every day 9:00-16:30, phone to book. Freshwater carp fishing in Gran Canaria. Nuestra escuela de buceo (PADI 5 star y BSAC) esta en el más famoso lugar, la Reserva Marina del Cabrón. Our diving school is in one of the best locations, the Marine Reserve of El Cabron. A scuba diving center in the South of Gran Canaria. Leagues Ahead Diving offer all levels of PADI recreational scuba diving courses. Tandem jumps for beginners and sky-diving courses for those who want to take it further. 28 years of sky diving experience, high safety standards and properly maintained equipment. Exotic birds, parrot show, bird of prey displays, orchids and more!